I recently started using a Macbook Air as my full time computer, so I needed to hook up a keyboard and mouse to it. 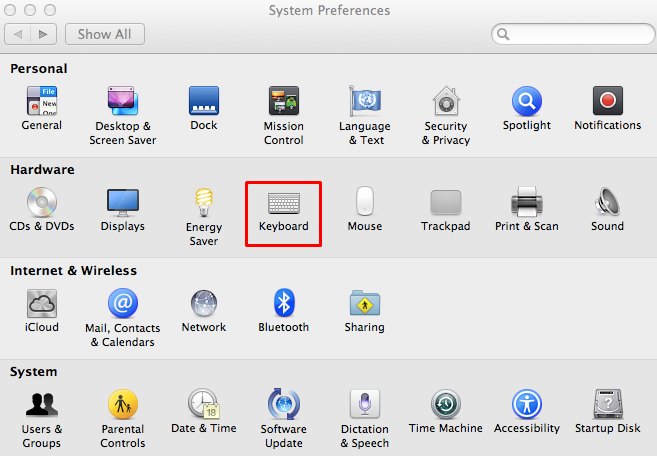 Automatically, OSX assigns the “Windows” key on the keyboard to be the “Command” key in OSX, which will drive you insane. 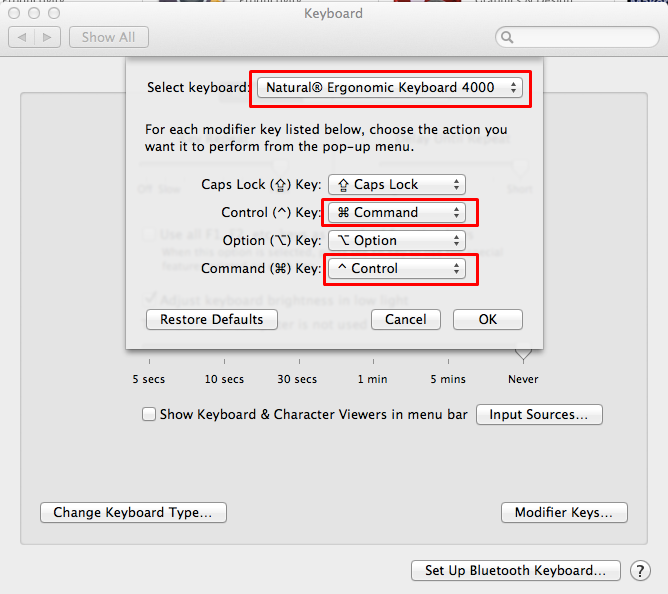 After doing a lot of digging, I realized there is a very easy solution to this built right into the Keyboard settings section in OSX System Preferences. 3. Select your USB keyboard from the drop-down menu (there should be two keyboards listed), make sure to not change the built-in keyboard settings. 4. I found that turning my keyboard’s CTRL key to the Command key made it intuitive for me to CTRL-C and CTRL-V and perform the other command options. 5. 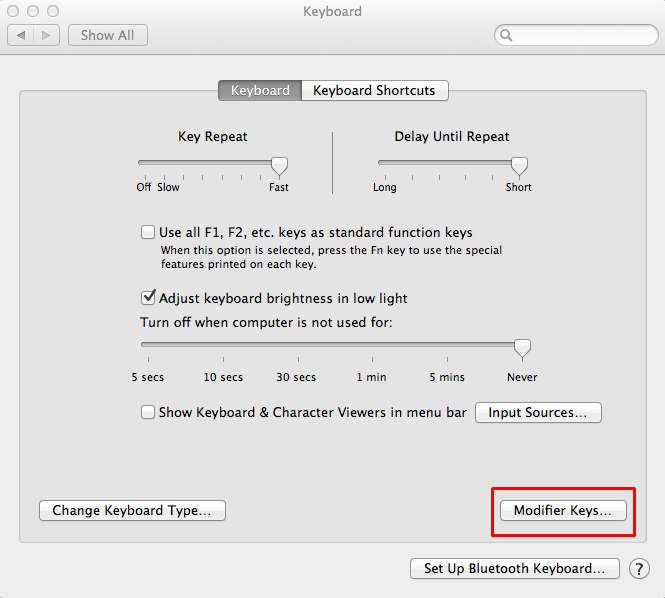 Since you do need to sometimes access the CTRL key in OSX, I made the function of the “Windows Key” (Command Key) on the external keyboard map to the CTRL key in OSX.